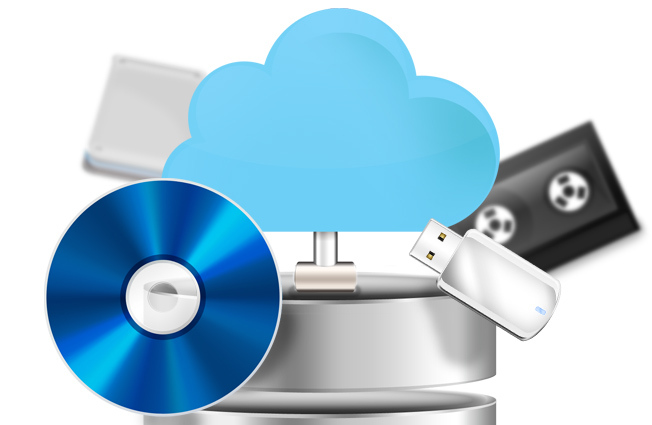 Cloud backup, external hard drive, USB drive, tape or optical drive; it’s easy to be confused with so many options for backing up your data and files. Cost – Blu-ray drive prices have come down significantly over the past few years, but more importantly the media prices are now as low as $.04 per GB. Not too bad for a permanent data storage. Longevity – High quality Blu-ray discs have a hard coat, scratch resistant material and can provide up to 50 years or longer archival life. Security – Archiving to Blu-ray gives you a physical copy of your data that is not vulnerable to online data breach and can easily be stored in a safe or offsite location. Capacity – Blu-ray discs are available in capacities of 25GB, 50GB, 100GB and 128GB allowing the average user to permanently archive a lifetime of photo’s on just a handful of discs. Ease of Use – Using REWIND Archiving Software you can easily archive or restore all of your photos, video, music and data in 3 simple steps. It's the latest in Blu-ray playback technology... and it's on a Mac? New advancements in optical disc technology are continuing to make their way into the consumer market. For instance, BDXL is the newest format in the Blu-ray category. BDXL consists of 100GB BD-R/RE and 128GB BD-R discs. Boasting even more capacity, these discs should (at one point or another) be part of your archive arsenal. But you don’t need to wait to enjoy the benefits of Blu-ray. You can start enjoying the benefits immediately with units such as the DIGISTOR line of Blu-ray products. For those concerned about future compatibility with this new format, fear no more. All DIGISTOR Blu-ray drives and the include REWIND™ software, comes with built in support for BDXL straight out of the box. This hardware/software combination, along with REWIND’S endless disc-to-disc spanning, means your archive can truly be limitless. In addition, there’s already so much out there for existing dual layer (50GB) and single layer (25GB) counterparts. Watch as prices on these BDXL discs drop and most likely have a trickledown effect on single/dual layer discs as well. By adding just 1 additional layer (3 total) to the typical 50GB disc, there’s now 100GB available space at your disposal. How can this be done you ask? Simply by putting more data on each layer (33.3GB to be exact). Think of how many of us have small hard drives with data we want to keep, and ideally stored on something other than conventional USB flash, hard disk or SSD that’s completely vulnerable to electrometric fields I might add. Simply put, no other format has this much capacity and electrometric immunity that Blu-ray XL can deliver. 25GB BD-R single layer – A solid, reliable, most cost effective powerhouse that’s the fastest of the bunch for writing – up to 16X on some burners. Due to their simplicity, they’re inherently the most compatible for use with stand-alone Blu-ray players and PS3 gaming console. 50GB BD-R dual layer – Offers more space per disc with a reasonable price premium. 100GB BD-R and 125GB triple/quad layer: The latest and the greatest, requiring new Blu-ray hardware and updated software to burn. DIGISTOR supports BDXL media in REWIND, and we also sell 100GB BD-R discs.